Hello all, Michelle here. This week is my turn and the theme is Home. You can use it in a different form but the least have a HOME element in it. 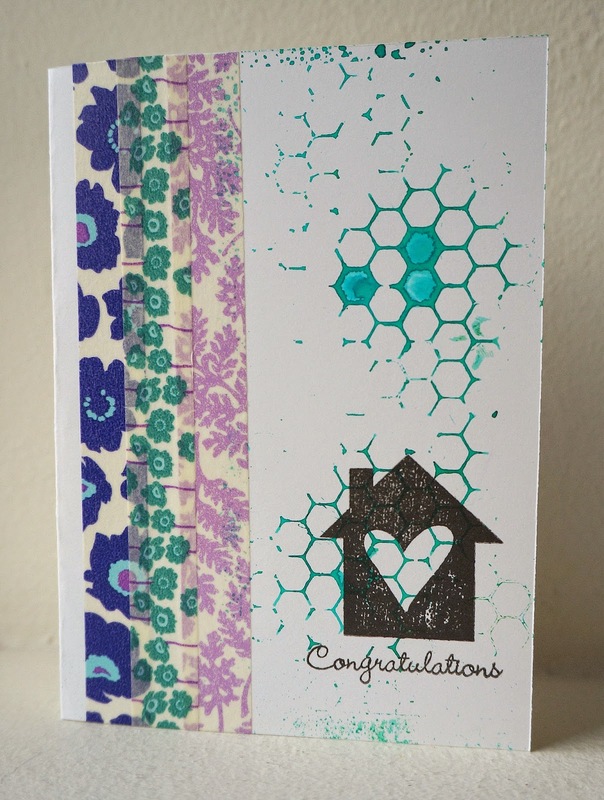 What I did here was misting on a stencil, added washi tapes and stamped the sentiment and a home image. Do share with us with what you have for this theme and have fun! I have a really bad habit of collecting Subway Art cut files from the Silhouette store. This is one I got months ago, but never found a use for. Likewise, I have had the cut file for the frames themselves for many months and never used those as well. This challenge has a been great way for me to make use of older cut files and display a great photograph of our puppy. This challenge came at perfect timing for me - I am scrapping 2010 and that year we sold our first home in order to move to the city we live in now. Beautiful samples this week, all of them!